Subaru has high hopes for the redesigned Crosstrek. The automaker has sold 786 units of the 2017 model to start the year, down 14 per cent over the same time last year. Subaru's second-generation Crosstrek will have a base price lower than the outgoing 2017 model and is expected to be in Canadian dealerships at the beginning of July. The 2018 Crosstrek Convenience trim level, with a 2.0-litre engine and six-speed manual transmission will start at $25,420, before destination fee. That’s down $1,250 from the 2017 Crosstrek Touring base model, which had a five-speed manual. The 2018 Crosstrek Convenience trim level with a continuously variable transmission starts at $26,720, only $50 more than the current 2017 base model with manual transmission. The Touring trim level now lands in the middle of the Crosstrek lineup and starts at $27,020 for the manual or $28,320 for the CVT. Both prices include shipping. The Sport trim level with a manual transmission starts at $29,520 while the CVT version is priced from $30,820. The top-of-the line Limited trim starts at $33,420, including shipping. Available with only a CVT , the top trim comes with a host of upgrades including a standard 8-inch Starlink multimedia system, 18-inch wheels and steering responsive headlights, among other safety-focused features. Subaru’s optional EyeSight driver assist technology system, which includes adaptive cruise control, pre-collision braking, lane departure warning, lane sway warning, and lane keep assist, is available only on the Sport and Limited trims. Overall, Subaru has sold 21,345 total vehicles through the first five months of 2017, up 11.6 per cent over the same time last year. The Crosstrek is the second model to be built on Subaru's stiffer global platform, following the Impreza, and features smoother and more aerodynamic styling. One engine is available on the all-wheel-drive crossover, an updated 2.0-litre boxer engine that gets direct injection for 2018. 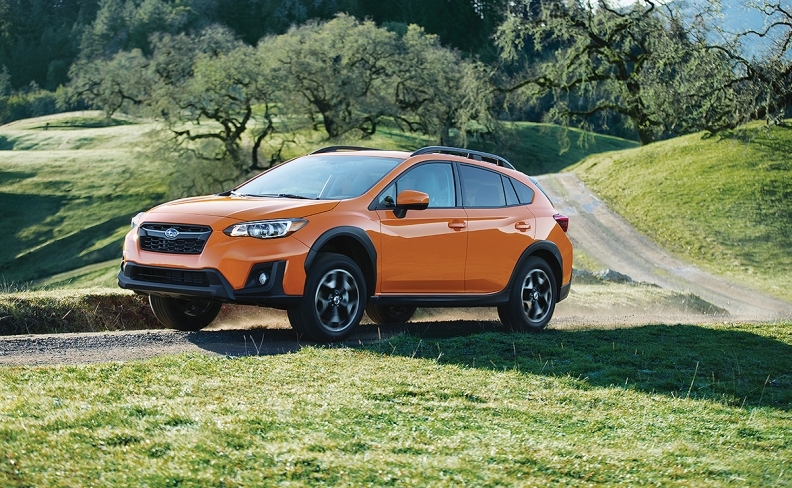 The redesigned Crosstrek, with 8.7-inches of ground clearance, rides higher than the outgoing version, enabling it to be driven off-road on more rugged terrain. Greg Layson and Jack Walsworth contributed to this report.